Whew! Where has the time flown to? It has been CRAZY busy around our house the last couple of weeks. I have barely been able to keep my head above water. Are any of you feeling like that ? I have also been busy with clients which is absolutely great!!! It really is one of my passions to help someone make their space look amazing or to take a bunch of random items and make them look cohesive. I am also planning a Retirement party for Buddy’s 3rd Grade teacher and an 8th Grade Promotion party for Buddy. Party Central right!!! Sooo, are you understanding the feeling of under me being a basket case and feeling under pressure? 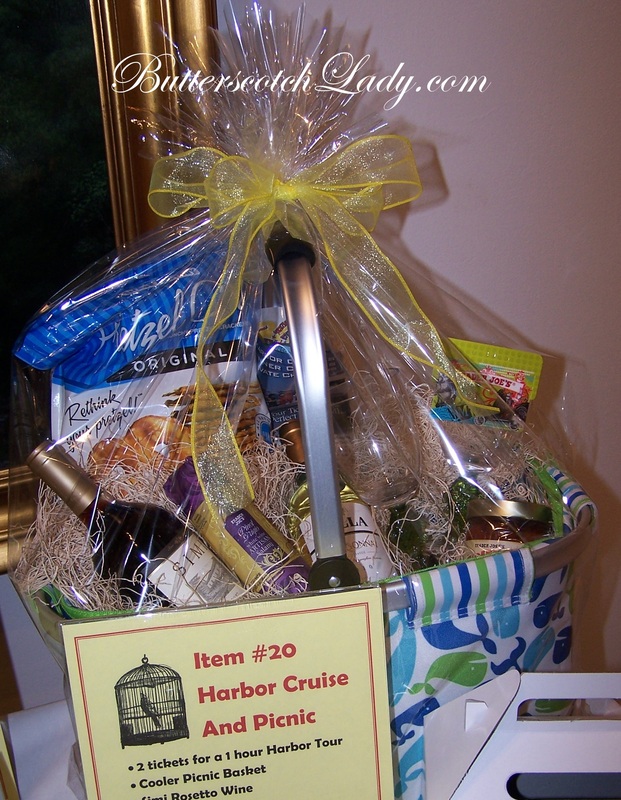 So amongst all of that , last week I was putting together baskets for the Huntington Beach Educational Foundation’s “Home and Garden” Tour. Now, I love to watch scary movies. Just as long as I am under a blanket, on the sofa with the house all locked up, my dog Alexa by my feet and Mr. Cabana near by. This was different. I was all alone in the backyard and it was a bit creepy. I spun around, thinking that I was being really silly and no one was really going to be there. Well guess what?!?! It was Baby Girl! She had wandered outside to look for me because she did not have any water on her night stand. Seriously?!?! She just scared the “you know what” out of me and she only wants water? I asked her why she did not ask daddy and she said he was sleeping. So I get her water and get her all settled back into bed. My blood pressure has returned to normal and I finish up my work. The next after noon, I am driving her Brownie troop to a paint class at Timree’s in Newport Beach (That will be another blog!). Sydney wants me to tell everyone “about how she scared me half to death last night”. I begin to tell the story when I asked her why she did not have Daddy get her water. Her response? “He was snoring like a motorcycle!” (Sorry for sharing Mr. Cabana!) Well the girls all thought that was hilarious! I then asked her why in the world she did not just get her own water. She said because it made her have to go “shi shi” (Potty). Geesh! Obviously, she does not know about the bladder of a woman who has had two children! My mom and I had a GREAT time on the Home and Garden Tour. Sorry, I was not allowed to take any pics of the homes or gardens. 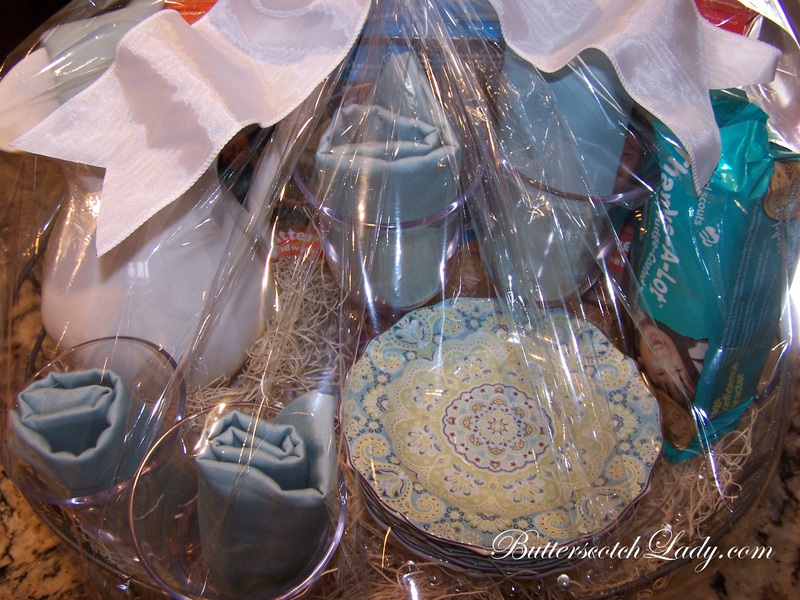 But here are some pics of the baskets. All you need to make your summer garden gorgeous! 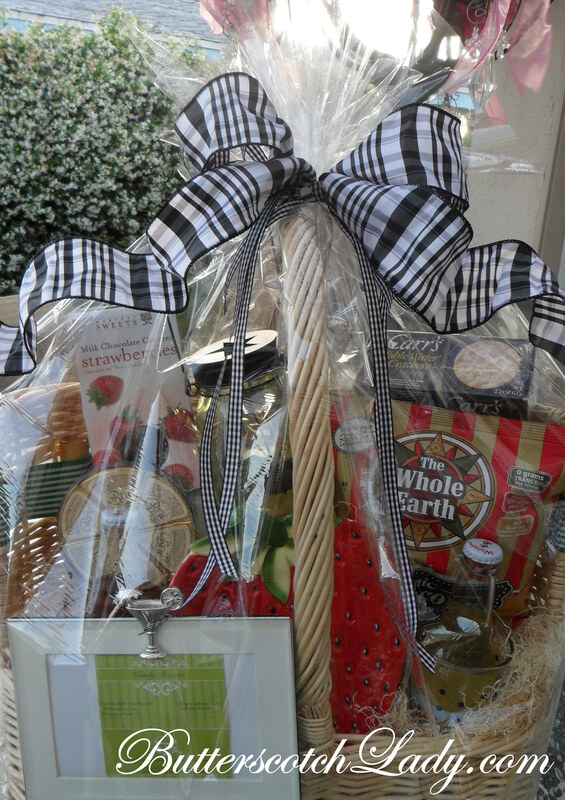 Great basket for Father’s Day. Have goodies and wine, will travel! 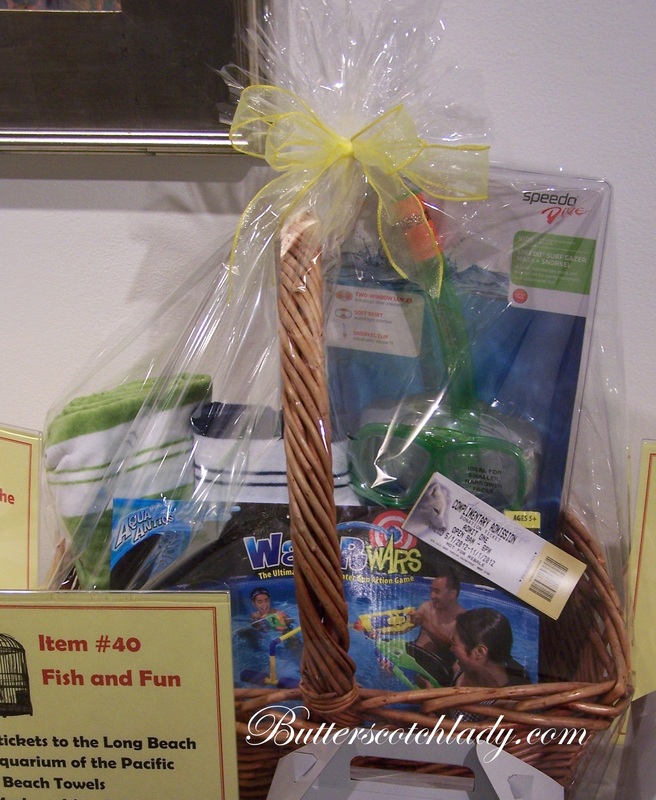 This would be a great basket to give your kids on the last day of school! PS. On Mother’s Day, Baby Girl told me one of the reason’s she loves me is because I put her on my blog! What a funny girl I have! As I said in my last post, I ADORE putting together baskets for family, friends and clients. I usually find one great piece to design a basket around. For this basket, I loved that the basket (found at Shinoda’s) came with garden tools (you can’t see them because they are strapped to the back of the basket by the white and green elastic band). I then found the adorable strawberry plate. Ah~ A Garden Themed basket! I love to relax after working in the garden. Nothing like sitting on the patio admiring the work we have done with a nice cool beverage and yummy snacks! 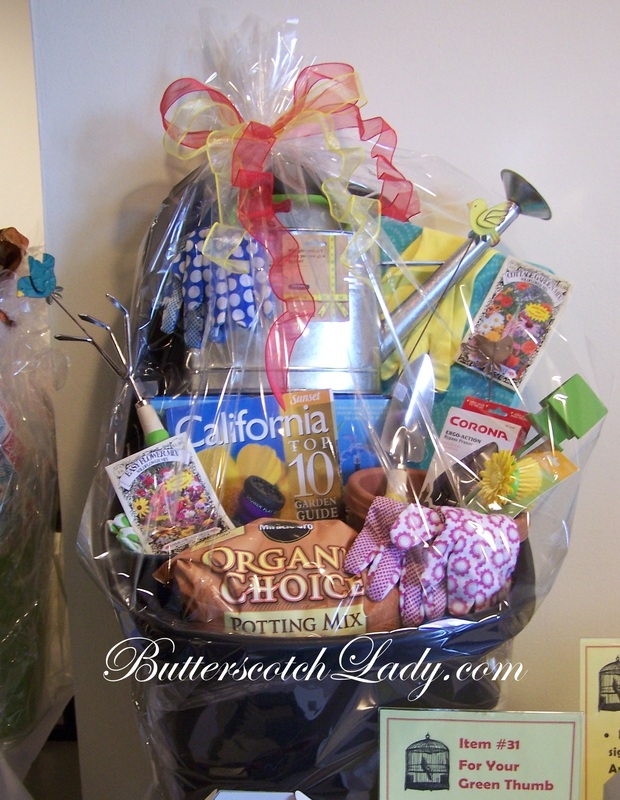 Wouldn’t it be great to have this basket to celebrate the first day working in your yard after a long winter? 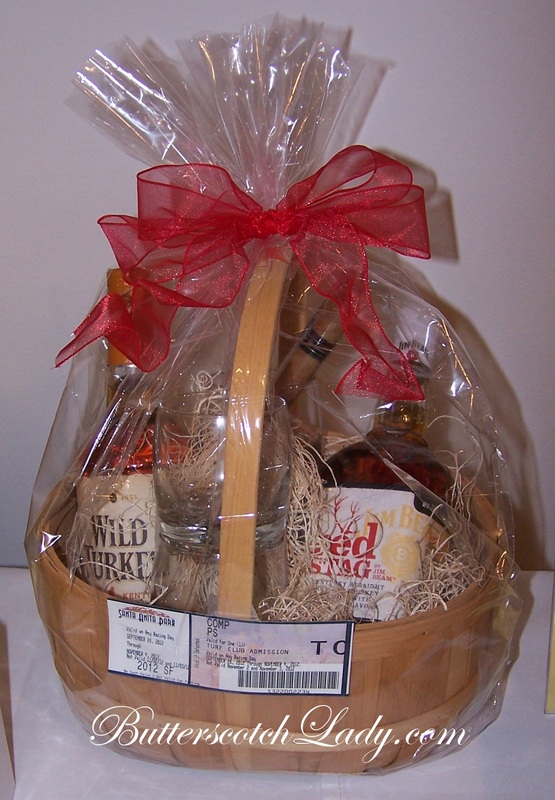 This basket would make for a great “Welcome to the Neighborhood” gift for new neighbors, a housewarming gift or for a birthday. This basket cost $45.00 to put together. 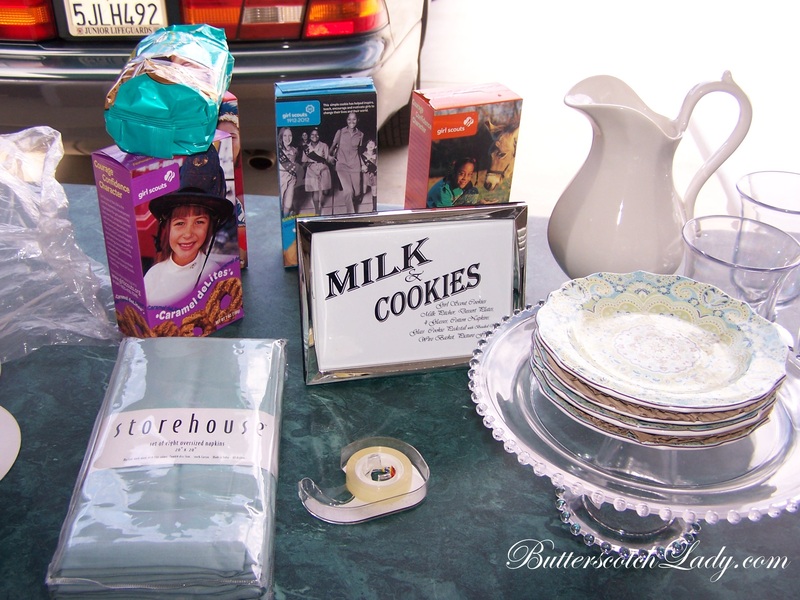 Most of the items came from HomeGoods and Cost Plus World Market. 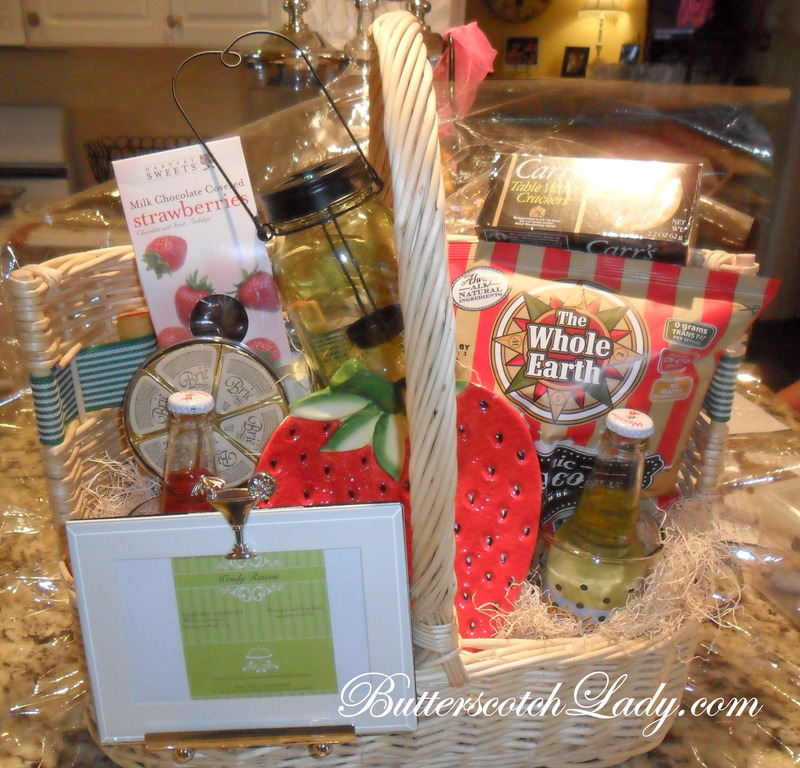 The basket included: one plate, two polka-dotted glasses, two gourmet sodas, Brie cheese, two kinds of crackers, strawberry candies, glass tea light holder, picture frame, basket with garden tools. 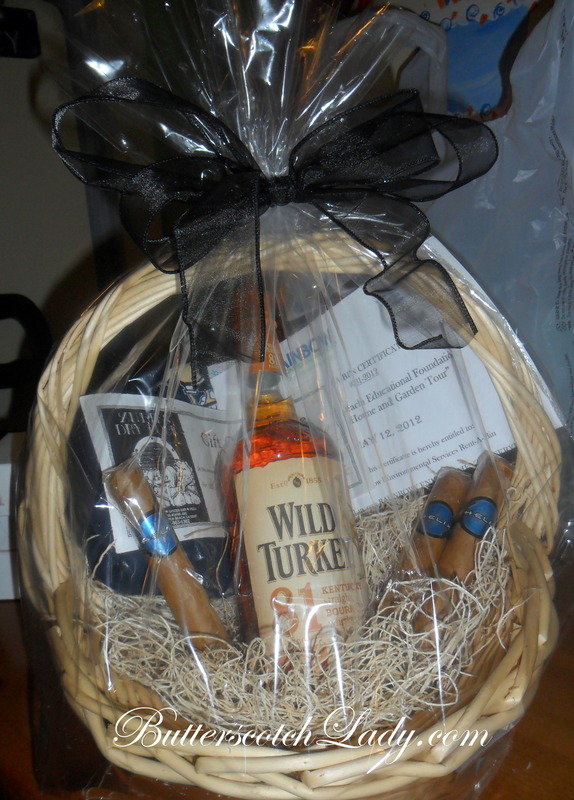 One of my favorite things to do is to create fabulous gift baskets. I have created so many different kinds over the years using all sorts of items and themes. I love the creative process of choosing a theme, shopping for the items, finding the “perfect” container, arranging the items to fit nicely. My friend Shannon thought with the Easter Bunny arriving soon, I should do a blog about baskets. I don’t know why but I just adore wire baskets. I found this one at HomeGoods for $18. I filled the basket with the excelsior, put one box of GS cookies on the bottom for the pitcher to be raised up. The pedestal is under the dessert plates. I used mail tape to tape the plates onto the pedestal and also to together to keep them from shifting. 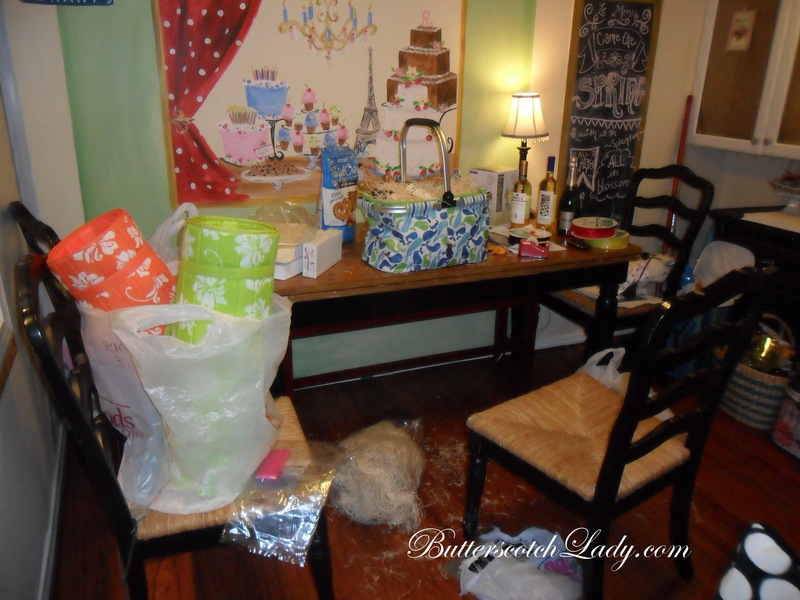 The supplies to make a basket are quite inexpensive~excelsior, cellophane, ribbon and tape. I created the “Milk & Cookies” sign using MS Word and then printed it onto photo paper. I created this basket for our PTO to donate for a Fundraiser Raffle for our Education Fund. 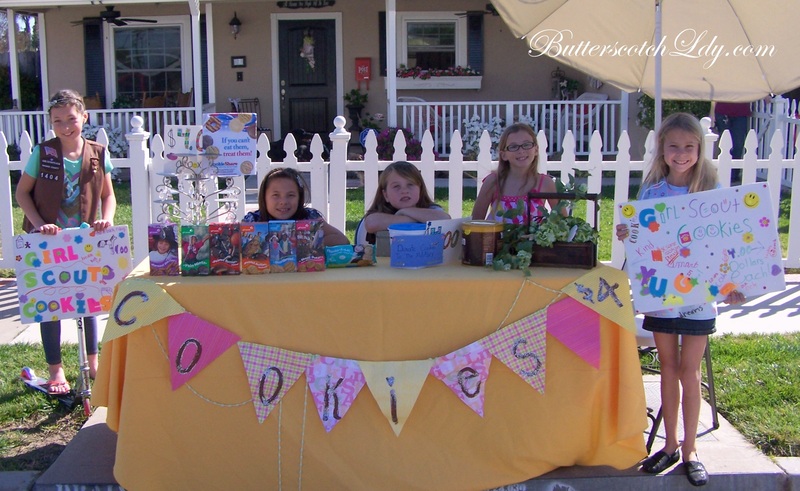 I usually make baskets in my kitchen or the playhouse, but it was such a beautiful day and Baby Girl and her fellow Brownies were selling Girl Scout cookies in front of our house, so Mr. Cabana’s tool bench worked out perfectly! If you would like for me to be your “Easter Bunny” and create a basket for the “Big floppy eared guy” to leave, I would love to! Just contact me!